About the artist: Marina Taleb is a painter living and working in Paris, France. She studied Applied Arts at a renowned French school in Saint-Germain des Prés. Her work has been shown in several contemporary art galleries and fairs throughout Paris, Strasbourg, Marseille, Madrid, and elsewhere in Europe. Her work has also been shown this year in Mexico where she did a painting residency in the Yucatan Jungle. 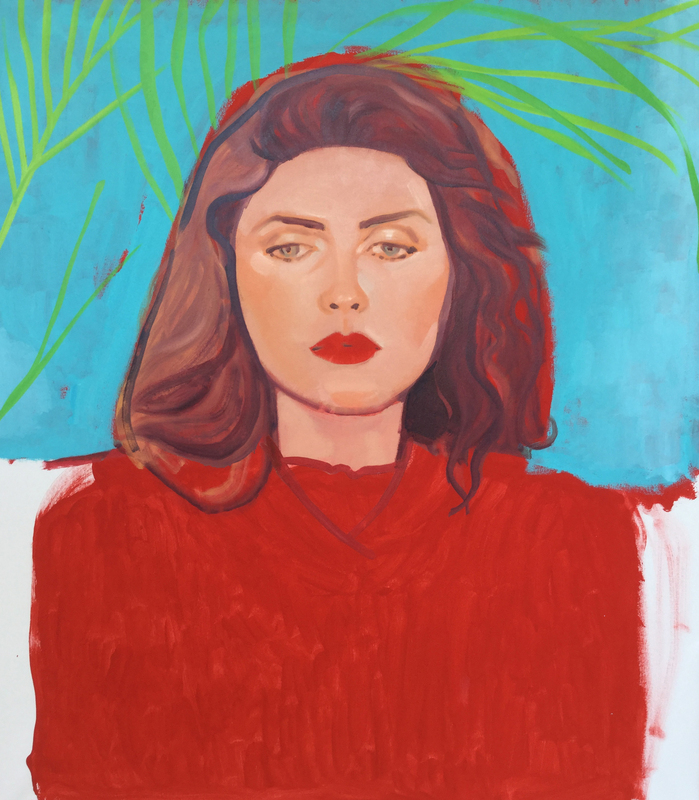 With a fascination with bright a fluorescent colors, she uses color in interesting and unexpected ways to capture the feminine spirit that lies somewhere between realism and abstract. She gets her inspiration from faces that “move or strike her.” She’s “drawn by the desire to understand who the person is and what goes on behind her eyes.” Her portraits capture the subtle but deep emotions of its subject well. She can be found on Instagram @MarinaTaleb.